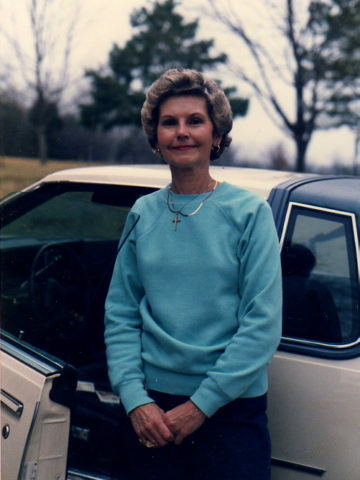 Mary Jo Kimbro, November 29, 2018, age 82. Preceded in death by her son, Brent Shawn Kimbro, and mother Addie Donegan. Survived by her husband of 64 years, Richard Kimbro; daughter, Teresa Culbreath; granddaughter, Kelsie Garrett (Jason); brothers, Danny Donegan, Jerry Donegan, Billy Joiner; sister, Sandra Elliott, and her devoted dog Maggie. Visitation will be at Cole & Garrett Funeral Home Goodlettsville Sunday from 2-6 pm. Chapel service will be Monday December 3 at 11 am with interment to follow at Sumner Memorial Gardens. In lieu of flowers, donations may be made to the Benevolence Fund at Connell Memorial United Methodist Church. I’m so sorry for your families lose. I love Teresa and Kelsie and will be sending prayers for everyone’s strength. My condolences to the Kimbro family. Thanks for being such wonderful neighbors. Garnette and I are very sorry for your loss.